Hello everyone and happy St. Nicholas Day! Since it is St. Nicholas Day I thought I’d talk about advent calendars. Now we all know about those chocolate advent calendars we used to get as kids, but those days of simple advent calendars are long gone. 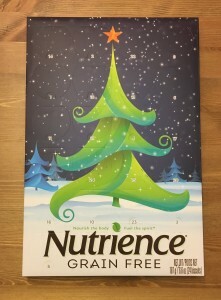 Now we live in the age where you can get an advent calendar filled with anything! Jewellery? They have one. Beauty/makeup/skincare? They have one with those too. I’ve even seen a beer advent calendar where you get a new craft beer to try every day. This year I decided to go the non-traditional route and get Lego advent calendars. 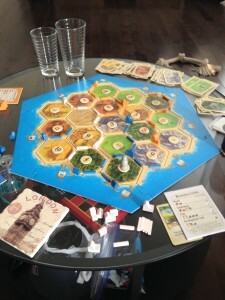 Let me tell you, they have been nothing but fun. 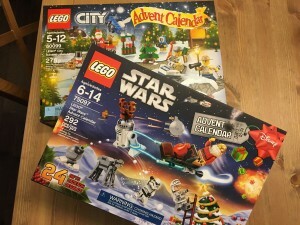 I picked up the Star Wars and the Lego City advent calendars because I wanted a little variety (though I was very tempted to get two Star Wars calendars). Every day you get a little Lego character or item that you get to build. Once they’re built you can place them on the little scene that comes attached to the calendar. It’s lots of fun and way better than chocolate in my opinion. Also, if you want your pet to get in on the advent action there are always advent calendars specifically for pets (I had no idea this even existed until I saw them at PetsMart). The one we have has a gluten free treat every day (our dog can’t have gluten so it’s awesome that they cater to specific diets). So last year I made a post all about my foray into cross stitch and indicated I was working on a bigger project. Well, last month I finally finished it. 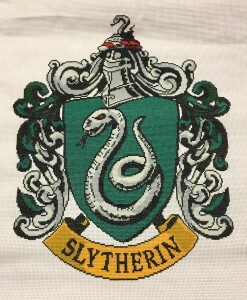 I had been working on the Slytherin crest for my sister’s birthday. Though it took me almost a year and three months to complete, I finally did it! The whole piece is quite large. The cross stitched area is about 14″x17″. While I loved doing this piece, I’m going to give myself this December to relax and do some other crafting projects before I start on my next cross stitch piece. And for those of you who want to know, I got the pattern from The Leaky Cauldron website.